Do you want to receive the newsletter of A Sister's Hope? Click here! And when you do not want to receive the newsletter anymore, you can unsubscribe here. Participants, donors and supporters of A Sister's Hope have helped make this promising research possible. Thank you! The 53 golfers at this year's Chicago-area Take a Swing at Breast Cancer golf tournament in memory of Shelia Seabaugh Hager generated $11,300 for the research team of Dr. Jacqueline Jeruss, Director of the Breast Care Center at the University of Michigan-Ann Arbor. The Ann Arbor tournament, a new event this year, takes place Monday, August 14, and we still have room for YOU! Register today on that event page of this website. 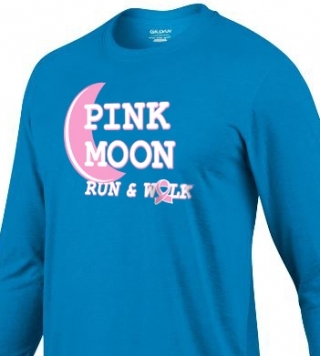 Pink Moon registration remains at $28! 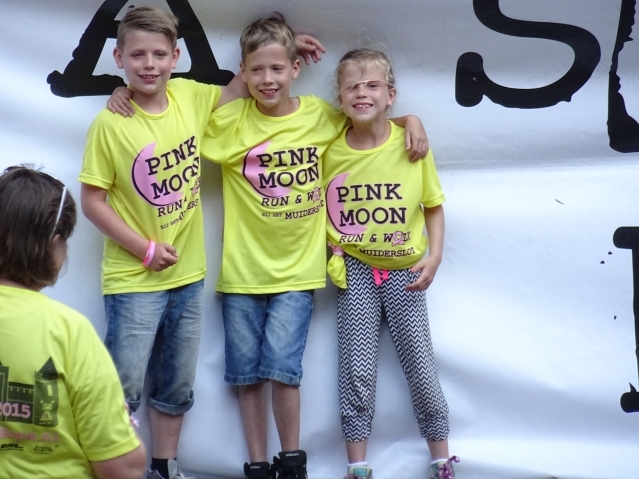 The registration fee for this year's Pink Moon Run & Walk will remain at $28! This is to encourage as many participants as possible to join us at the Courthouse Square in Jackson on Saturday, October 31, to raise funds for breast cancer research, as well as other charities within our community. If you have a charity that would like to benefit from this year's Pink Moon, contact us at Info@ASistersHope.org and we will explain how it works. ($10 of each registration that lists your charity will go to that charity!) Do not wait. To make sure you get a beautiful, long-sleeve event shirt, get registered before October 10. 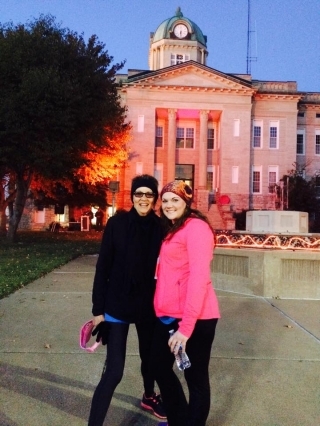 The annual Pink Moon Run & Walk takes place Saturday, October 31, in Jackson, Missouri! Beginning and ending at the beautiful limestone county courthouse, this year's event offers the distances of 8K (5 miles) and 3K (more like 2 miles) and one of those will be perfect for you! Since it will be Halloween, we're going to wind the 3K route through the cemetery at the end of High Street, near the high school, and invite all the ghosts, goblins and ghouls to join the fun!! Register BEFORE JULY 31 to save $10 on your registration. Get registered now for the 2014 edition of Pink Moon Run & Walk 8K - Jackson! This 5-mile course begins and ends at the historic limestone Cape County Courthouse and winds through the beautiful city park, familiar old neighborhoods, the growing high school campus, and finishes down High Street toward the courthouse's pink fountain of hope. $38 gets you into the event and all participants receive a good-looking, long-sleeved technical shirt. If you would like $10 of your registration fee to go toward a different charity that holds closer meaning to your heart, note the charity's name in the area of your registration form that asks "How did you hear about the event". All charities must be registered 501(c)(3) charities with tax-exempt status in the U.S. Imagine being a doctor and researcher, sitting in a hospital exam room with a young woman whose two small children are being cared for today by grandma or the babysitter while she sits in the exam room with you. You know the research you are working on could save her life if only there had been funding for the required clinical trial. The patient needs you to look her in the eyes and tell her everything is going to be okay, but you don't know how you can tell her this because the statistics show that, without the clinical trial treatment, she is not going to watch her children grow up. I need your help. While it seems like lots of money is being raised for the cause of cancer, the past couple of weeks I have had heart-to-heart conversations with leading breast cancer researchers who tell me they are desperate and need my help. Over the past seven years, A Sister's Hope actions in The Netherlands have placed 4.3 million euro (approximately $5.7 million) into the labs of Dutch researchers who are looking for better treatments and a cure. When there are other organizations collecting several million PER YEAR and some of that is supposed to be available for research, why is there a need for A Sister's Hope? Let's not be shy about looking at this. The researchers I have spoken with tell us they have a difficult time accessing funds from these other organizations. These researchers tell us they need A Sister's Hope. - Breast cancer researchers are not getting enough funding from bigger organizations. - Brilliant, promising research projects are sitting inactive while patients die. - It is common practice for larger non-profit organizations to have millions packed away in a bank account that has been allocated for multi-year projects or that has not yet been awarded to projects. - A Sister's Hope has one goal: funding breast cancer research to save lives. - A Sister's Hope simplifies the application process, expedites funding. - A Sister's Hope is a lean, optimistic and persistent organization that believes it is possible to improve the way things are being done. # Choose A Sister's Hope when you want to support breast cancer research. 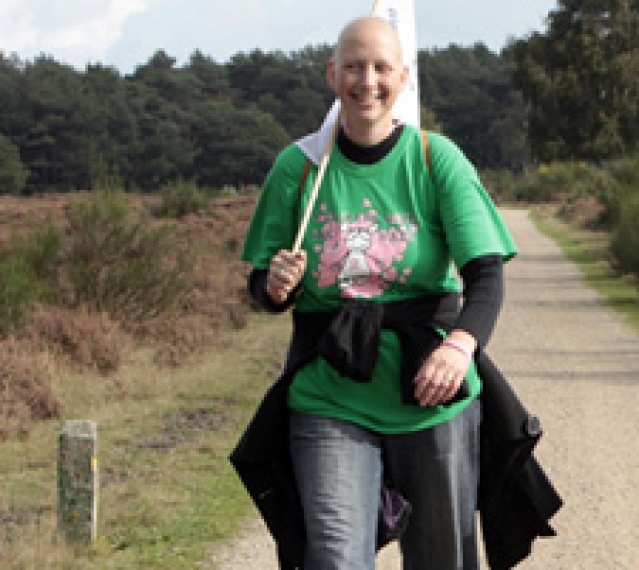 # Form a team of walkers for the 60K this October. # If you are not a walker, you can be a "virtual walker" and organize a team and do the fundraising as if your own life depends on it. 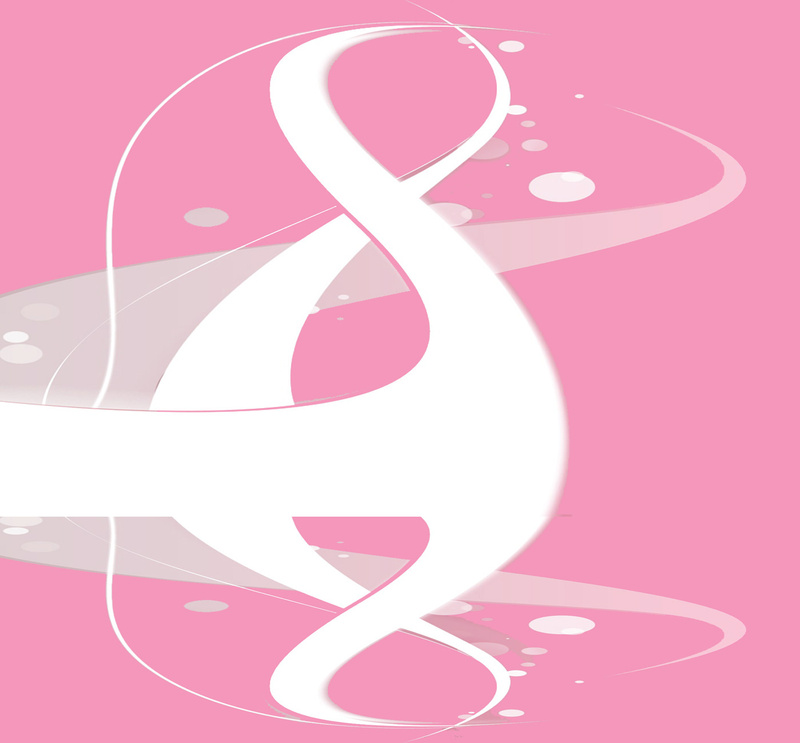 # Many of you might already be among those registered for the 8K Pink Moon Run & Walk. That's awesome, and the Pink Moon events are going to help us reach the bigger goal. I am asking you "Pink Mooners" to go one step further and use the 8K as a training day for the big 60K. # Donate to A Sister's Hope. The story at the start of this letter is true, and at least 20 women under the age of 40 will die this year in The Netherlands - potentially 4,500 women worldwide - because there is no funding for this clinical trial. Am I angry? Yes. Will I give up on them? No. Is this researcher frustrated? Yes. Will the researcher give up on them? No. Go right now to www.ASistersHope.org and register or donate. On behalf of the researchers and the patients they are working to save, I thank you from the bottom of my heart. committed to helping individuals realize their own power to make the world what we dream it can be. 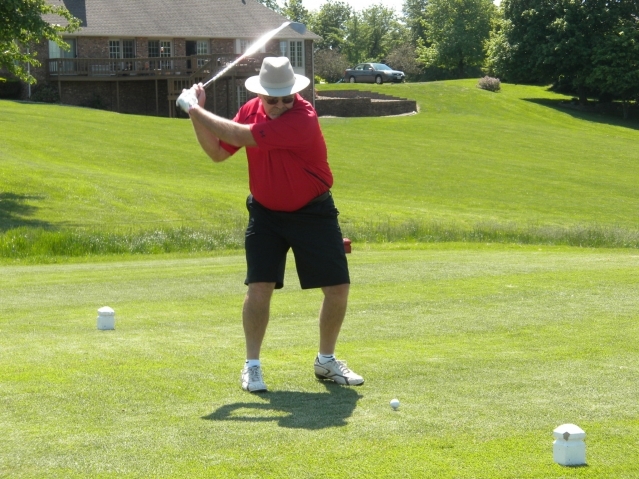 The fourth annual "Take a Swing at Breast Cancer" golf tournament at Bent Creek in Jackson, MO, was the largest yet and generated more than $7,000 for a breast cancer research project at Northwestern University Medical Center/Lurie Comprehensive Cancer Center, Chicago! Thank you to all the golfers and to those local businesses who helped make it happen: Estes BBQ, Wings etc, Tractor's, Wib's, El Torero, Arena Golf, Kohlfeld Distributing, Gary & Co. Hair Salon, Indian Creek Shooting Systems, Bill Wallace State Farm Insurance, The Bank of Missouri, Plaza Tire Service, and to Chicago-area jeweler Patricia Locke. 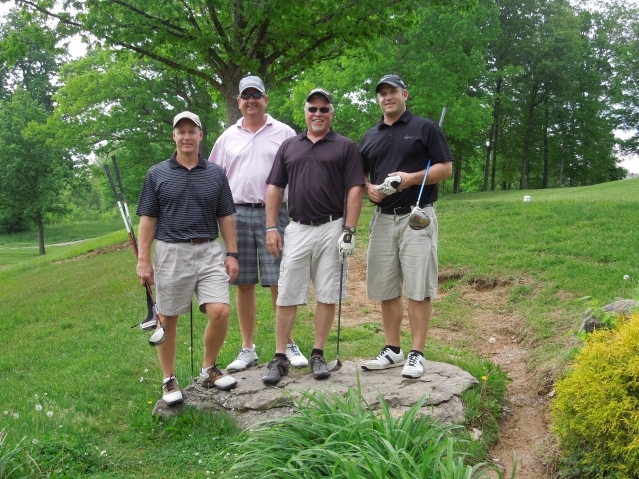 Winning foursome in the championship flight was Tom Hecht, Terry Schwab, Mark Hoffman and Aaron Wright. Winners in the A flight were Matt Roberts, Victoria Laivins and Rob Roberts; Matt and Victoria came in for the tournament from the Boston area. Top fundraisers were Jennifer McLemore ($653) and Sissy Donahue ($605) and they were part of a foursome that raised nearly $2,100! The fifth annual tournament will take place on Monday, May 11, 2015, so mark it on your calendar and plan to join us to Give A Sister Hope! It was a gorgeous day for a worthy cause: helping researchers find a cure for breast cancer. The annual "Take a Swing at Breast Cancer" golf tournament in Jackson, Missouri, on May 13 resulted in a donation of $5,166 that will be given to surgeon/clinician/researcher Dr. Seema Khan, co-leader of the Breast Cancer Program at Northwestern University Medical Center, Chicago, in the coming weeks. Top fundraisers were Don Henley, Jen McLemore and Jill Braswell. Thank you to all of our participants, their sponsors, in-kind product sponsors and Plaza Tire. You Give a Sister Hope. A Sister's Hope is the first-ever charity attached to a Federation of International Basketball Associations (FIBA) world championship tournament. The Netherlands is hosting this year's tournament at Sporthall Zuid in Amsterdam and August 19 was officially "A Sister's Hope Day." Ambassadrice Olga Commandeur warmed up the crowd and players, and a silent auction on several great items raised a nice amount for research! 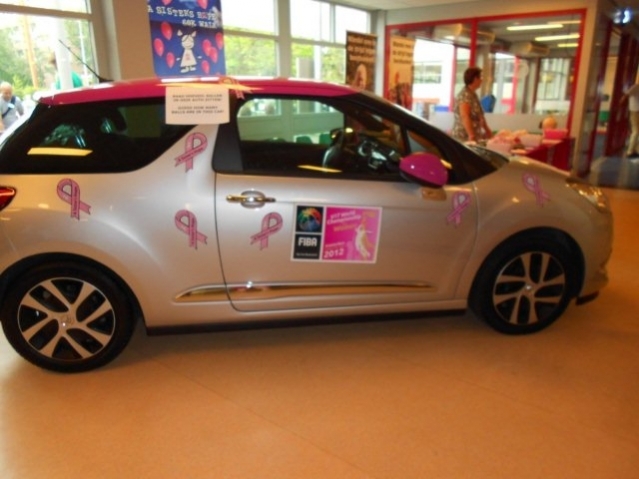 During the tournament, a Citroen DS3 filled with balls is on display and tournament attendees are invited to guess how many balls are in the car; winner gets a free week's use of a Citroen, including the fuel! 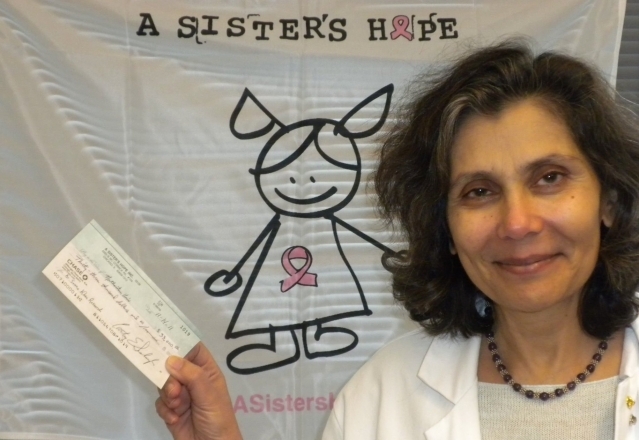 A Sister's Hope events in southeast Missouri, Chicago and western Michigan have contributed an additional $38,000 to the prestigious work of Dr. Seema Khan, Lurie Cancer Center, Chicago, IL. That makes a total of $50,000 Oct. 30, 2010-Oct. 30, 2011. The funds were awarded to Dr. Khan on November 14 at Northwestern University Hospital where the comprehensive cancer center is located. A synopsis of her work can be found on the A Sister's Hope website on the beneficiary page. Thank you to the participants of Take a Swing at Breast Cancer-Chicago (Sept. 12), MPLI Golf Tourney (August in South Haven, MI), Pink Moon Run & Walk 8K-Jackson, MO (Oct. 29), and USA walkers of the Holland 60K (Oct. 8-9). Presenting sponsor Southeast Missouri Hospital, and supporting sponsors Southeast SportsCare and Plaza Tire Service helped make these actions possible. 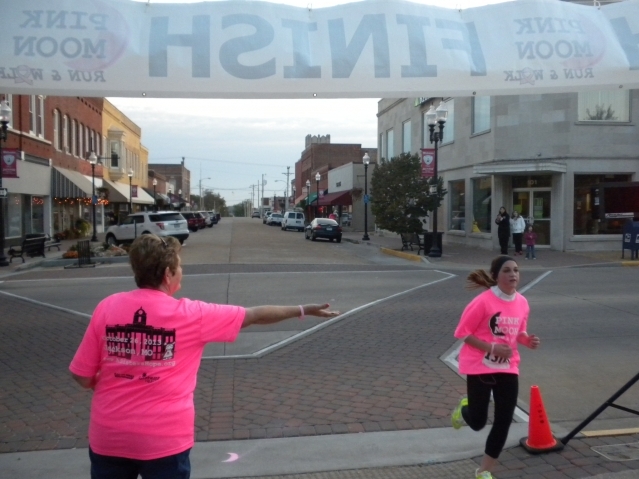 The first annual Pink Moon Run & Walk 8k event took place October 30 in Jackson, Missouri (USA), drawing participants from 16 surrounding cities and from as far away as Memphis, Tennessee, and Marion, Illinois. 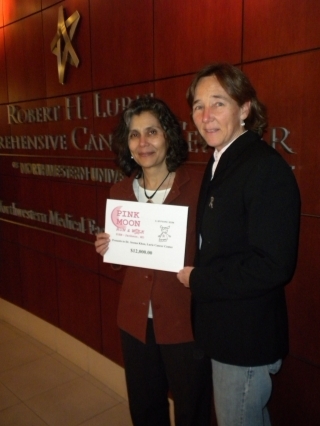 A $12,000 check was presented to Dr. Seema Khan, Lurie Cancer Center, Chicago, IL, on November 29 at Northwestern University Hospital where the comprehensive cancer center is located. Dr. Khan's research focuses on early detection and a synopsis of her work can be found on the A Sister's Hope website on the beneficiary page. Thank you to Pink Moon-Jackson presenting sponsor Southeast Missouri Hospital, and to supporting sponsors Southeast SportsCare and Plaza Tire Service. Take a Swing at Breast Cancer-Ann Arbor generates $17,048 for research! 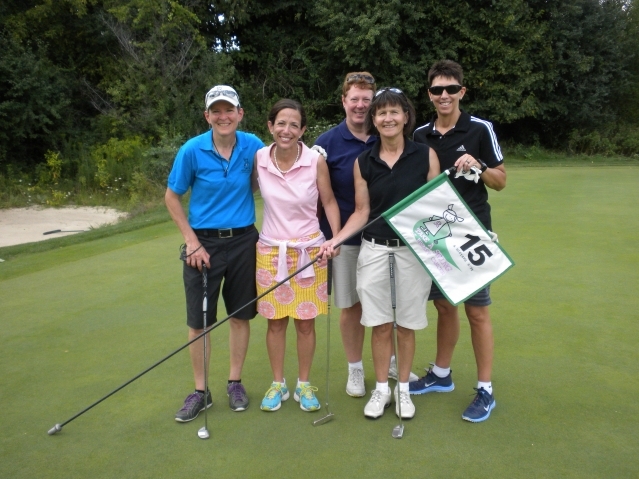 The first annual "Take a Swing at Breast Cancer-Ann Arbor" golf tournament on Monday, August 14, at Radrick Farms Golf Course in Ann Arbor is sending $17,048 to the research team of Dr. Jacqueline Jeruss, Director of the Breast Care Center at the University of Michigan-Ann Arbor. A huge thanks to all of the players and to our main sponsors: Arcus Biosciences, The Martin Family Foundation, Retail Backbone.com and all of our generous hole sponsors. Thank you to Danielle, Paul and the team at Radrick Farms for being easy event partners. We already are looking forward to the 2018 event! Date to be announced soon.